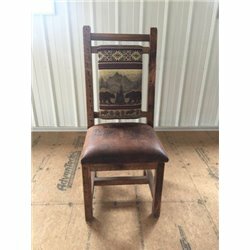 The barn wood really shows its age and history through its imperfections! Available in Natural Clear Varnish or Urban Distress Stain. 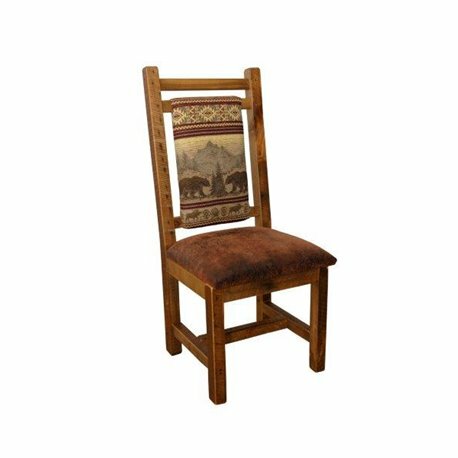 These chairs pair nicely with any of our Barn Wood items! 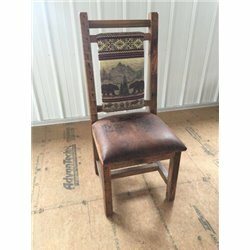 THESE CHAIRS COME STANDARD WITH THE FAUX BROWN LEATHER RANGER FABRIC ON THE SEAT. WHEN SELECTING YOUR FABRIC OPTION, YOU ARE CHOOSING THE FABRIC THAT WILL BE ON THE PANEL BACK OF THE CHAIR. This item is available for In-Home Delivery & Set-Up for an additional charge!! Please see below for further details! Our Barn wood furniture comes with a Natural Clear Varnish or an Urban Distress Stain. When the Clear Varnish is chosen, you can be sure that the natural character and age of the wood will stand out. It gives the wood a very organic feel and shows the personality of each individual piece that is used. The Urban Distress Stain will highlight the personality and character of each piece of wood, but will give the piece a more cohesive look in that the lights and darks of the wood will show variations, however, the piece itself will have a consistent base color. 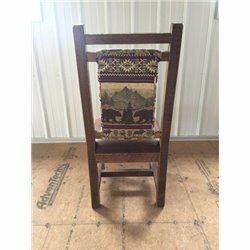 When ordering from FURNITURE BARN USA you can be sure that you are getting Quality, Amish, Handcrafted, made in the USA products, that are made to be durable and last for a long time. Available in Natural Clear Varnish or Urban Distress Stain. Reclaimed Barn wood may have nail holes, rough spots, and other imperfections such as uneven boards. This is not a cause for return. 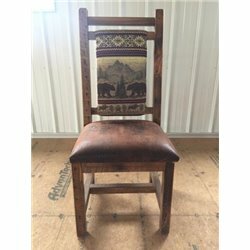 This is an extremely rustic piece! Digital colors and product photos will vary from the actual product received due to the imperfections and variations in the wood.